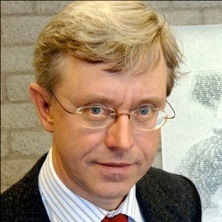 Paul van Tongeren studied theology and philosophy in Utrecht and Leuven. He got his PhD from Leuven with a dissertation on the morality of Nietzsche’s critique of morals. Since 1993 he is a full professor of moral philosophy and ethical theory in the department of philosophy of Radboud University in Nijmegen. Since 2002 he is also an extraordinary professor of ethics at the Institute of Philosophy in Leuven. His research is mainly on Nietzsche, on hermeneutics and on (the history of) moral philosophy.